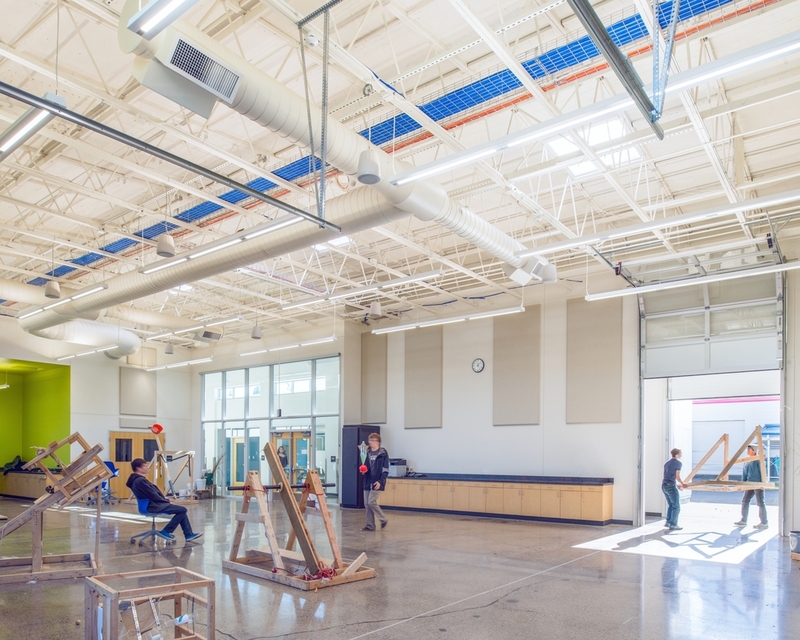 Rowell Brokaw's completed remodel of Churchill High School’s former Industrial Arts building created a home for the school’s new 4J STEM (Science, Technology, Engineering, and Mathematics) program. 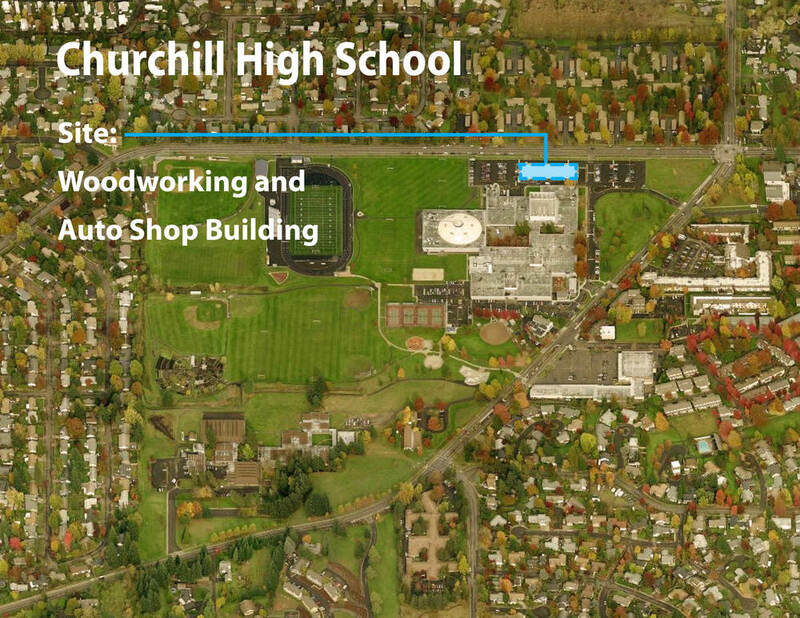 The original 11,500 sf building was designed to house wood and auto shop classroom facilities; it was later re-purposed to accommodate the Churchill Alternative High School. 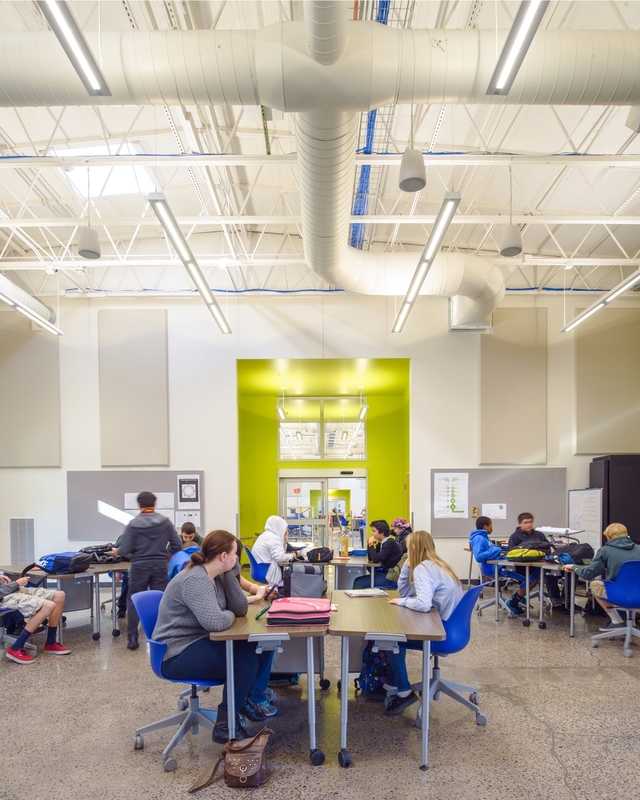 The STEM remodel and addition transforms the existing structure to provide 13,250 sf of day-lit teaching areas and support spaces. 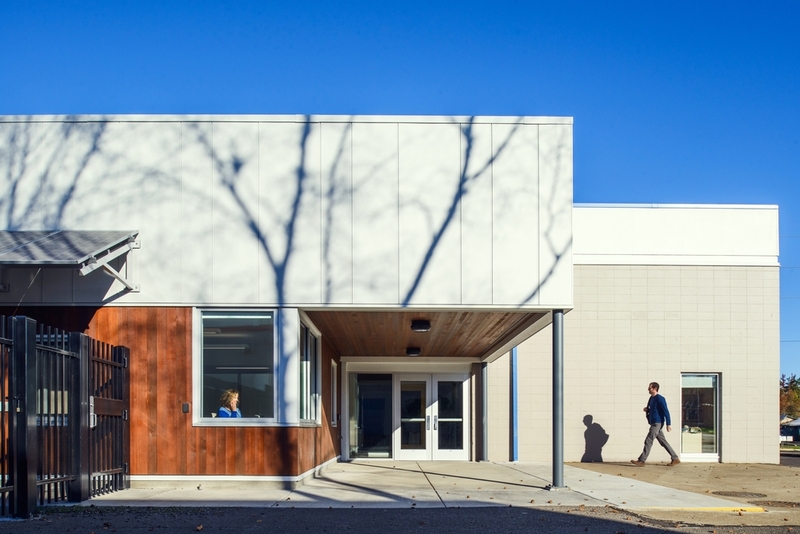 In addition, the building provides a new and enhanced space for the Rachel Carson Environmental Science Academy. 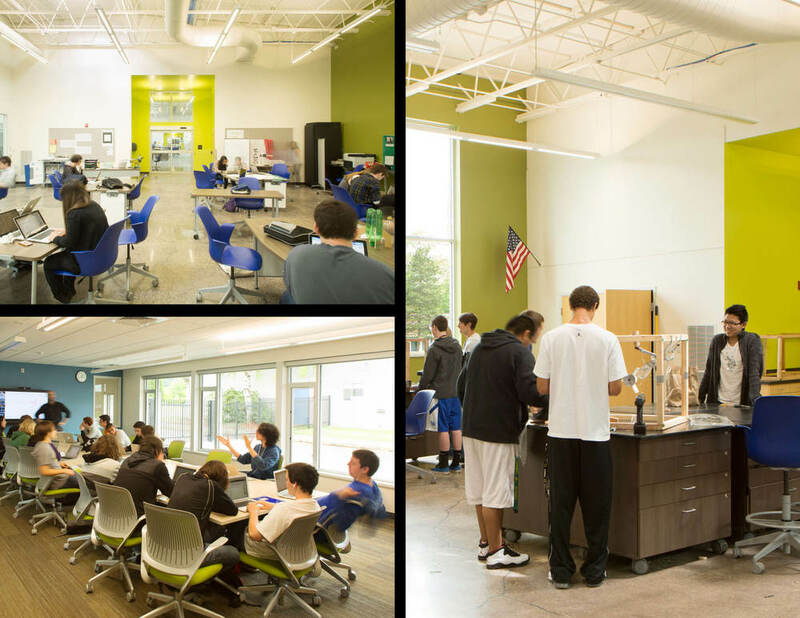 The remodeled facility features spacious, flexible classrooms, along with project workshop, storage, and demonstration areas. 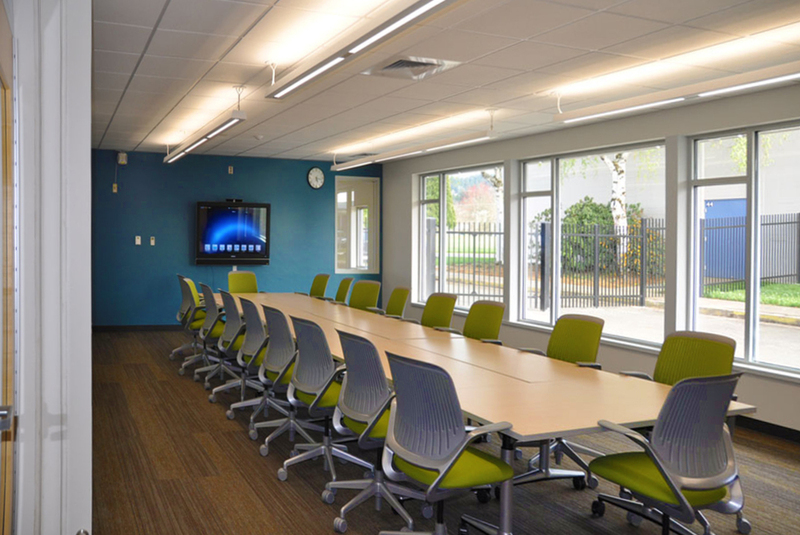 The facility layout emphasizes connectivity between meeting, workshop, and outdoor areas, and all teaching areas are equipped with moveable furniture and state of the art digital equipment. The spaces allow community professionals and higher education partners to directly engage STEM students through mentoring and projects. These outside connections, along with the program’s project-based learning frameworks, are designed to encourage real-world problem solving by building technical knowledge and fostering creativity. 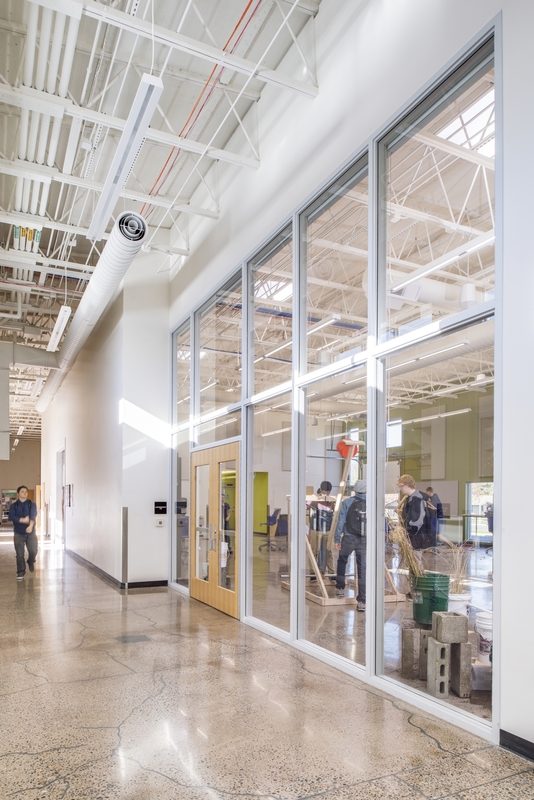 The first of its kind in the state of Oregon, the facility has the opportunity to become a regional hub for STEM education.